CAMARGO, IL (11-14-12) Brian Liskai. The University of Northwestern Ohio (UNOH) All Star Circuit of Champion Sprint Cars will blast open the 2013 racing season with five big events down south beginning with the Third Annual Winter Freeze Thursday, Feb. 7 at Screven Motor Speedway. The UNOH All Stars will then head to Bubba Raceway Park on Friday and Saturday, Feb. 8 and 9 and the wrap up their southern swing at Volusia Speedway Park Wednesday and Thursday Feb. 13 and 14. “We consolidated our events in the south this year. It will save the fans and race teams some money as our races are being held over two weeks,” said Guy Webb, President/CEO of the UNOH All Stars. Screven Motor Speedway also known as The Action Track of the South is located on Georgia Highway 21 between the towns of Newington, Ga. and Sylvania, Ga. It is a 3/8th mile clay track that began operations in 2997. Action begins at Screven on Feb. 6 for the Third Annual Winter Freeze and runs through Feb. 9. The UNOH All Stars will battle on Thursday, Feb. 7 for a $5,000-to-win affair to kick off the touring group s season. During the Winter Freeze, Screven will also host the World of Outlaw Late Models, national late models, the Florida mini-sprints and possibly a non-sanctioned winged sprint car even during the four-day Winter Freeze. Last year at Screven, Pittsboro, Indiana’s Daryn Pittman opened the UNOH All Star season by holding off UNOH All Star regular David Gravel and young charger Logan Schuchart for the win. Pittman would go on to pick up the UNOH All Star s Eastern Region Championship in 2012, and will now pilot one of Kasey Kahne’s machine s in 2013. On the second night of competition, 3-time NASCAR Sprint Cup Champion Tony Stewart would drive to the high side of a frozen track where no one else dared to go and passed Jason Sides on the last lap to pick up his first ever UNOH All Star sprint car win. The UNOH All Stars then travel a little further south to Ocala, Florida to Bubba Raceway Park for a two night stand, Friday and Saturday, Feb. 8 and 9. Bubba Raceway Park is a unique, 3/8th mile D-shaped, semi-banked clay track. It began operations in 1952, making it the oldest track in the State of Florida. Nationally syndicated shock jock Bubba The Love Sponge Clem, a lifelong race enthusiast, purchased the former Ocala Speedway in 2011. A race car driver himself, Clem, 46, hosts his five-day-per-week, talk-only radio show out of FM 102.5 in Tampa. He has made several improvements to the track since taking ownership. The 2013 Bubba Army Winternationals will take place Jan. 28-Feb. 23 and not only features the UNOH All Stars, but the World of Outlaw Late Models, UMP Open Wheel Modifieds, winged 360 sprints, and the USAC AMSOIL National Sprint Cars. In 2012, Bubba Raceway Park hosted the UNOH All Stars for three nights of racing. On the first night, Danny The Dude Lasoski, a multi-time Knoxville Raceway champion and Knoxville Nationals winner, scored the win over Dale Blaney, who would put together a nine-win UNOH All Star season in 2012, securing the Ohio Region Championship along the way. Tim Shaffer, who would go on to record his fourth consecutive UNOH All Star Circuit of Champions national title, would come home third. On the second night of competition, Blaney, who sits second on the UNOH All Star Circuit of Champion s all-time win list with 93 victories just five shy of tying National Sprint Car Hall of Fame member Kenny Jacobs would take the win over Pittman and Sam Hafertepe Jr.
Lasoski, who calls Ocala home during the winter months, would wrap up the three-day affair at Bubba Raceway Park, with another victory over Aaron Ott and young UNOH All Star charger Danny Holtgraver. Once again, the UNOH All Star Circuit of Champions will be a part of the 42nd Annual UNOH DIRTcar Nationals Presented by Summit Racing Equipment at Volusia Speedway Park in Barberville, Fla. The UNOH DIRTcar Nationals will take place Feb. 12-23 with the UNOH All Stars competing Wednesday and Thursday, Feb. 13 and 14. 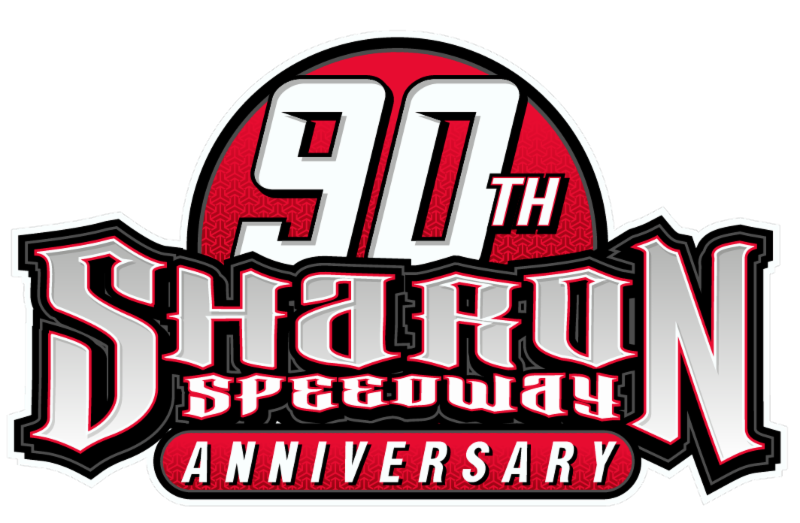 The Nationals include the World of Outlaw Sprint Cars and World of Outlaw Late Models, Super DIRTcar Series Big-Block Modifieds, UMP Modifieds and DIRTcar Late Models. Every night is a double-header during the UNOH DIRTcar Nationals and there are free fan pit passes with every ticket purchase every night. Gates will open nightly at 5 p.m. with heat races beginning at 7:30 p.m.
Last year at Volusia, Lasoski would open the UNOH DIRTcar Nationals with the UNOH All Star win over Kraig Kinser and Shaffer. It was Lasoski s 18th career win at the track as he leads all other drivers in victories at Volusia. On night #2 for the UNOH All Stars, The Crowd Pleaser Craig Dollansky who would finish second in the World of Outlaws points in 2012 came home the winner over Pittman and Lasoski. The five races for the UNOH All Stars Feb. 7 at Screven, Feb. 8 and 9 at Bubba Raceway Park, and Feb. 13 and 14 at Volusia are Eastern Region Point events. The champion of the Eastern Region at the end of 2013 will earn $20,000.